Welcome to our big top of Circus Costumes all designed to dazzle and amaze you with their high quality and unique designs. 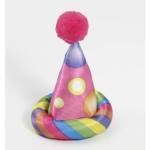 A circus theme makes a colourful and fun fancy dress party subject. Forget the need to run away to the circus to don a clown costume, we have everything you need right here, although we cannot offer any juggling training or custard pie advice! Take a look through our classic clown suits for men and women plus ringmasters, jesters and lion tamers in abundance. The innocence of a circus theme can take a sinister turn at Halloween and this is captured in the evil jesters and creepy clown costumes will also be discovered here. Take a ticket to biggest and best range of Circus and clown fancy dress costumes in town.